What's Going On at Penny and Pig? We LOVE what we do! 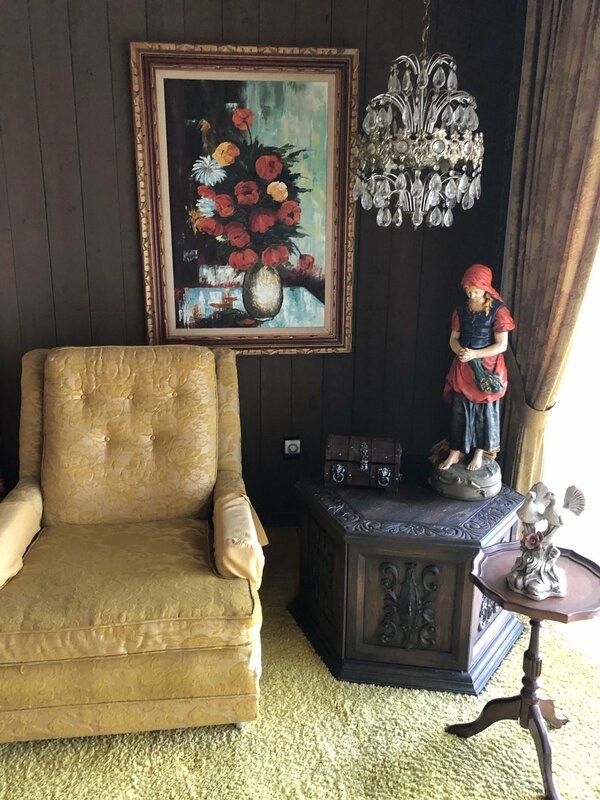 Each week we get to invite you to a new and interesting estate sale shopping experience. This week we have a house full of groovy stuff. Lots of cameras, - from Polaroids to Hasselblads. 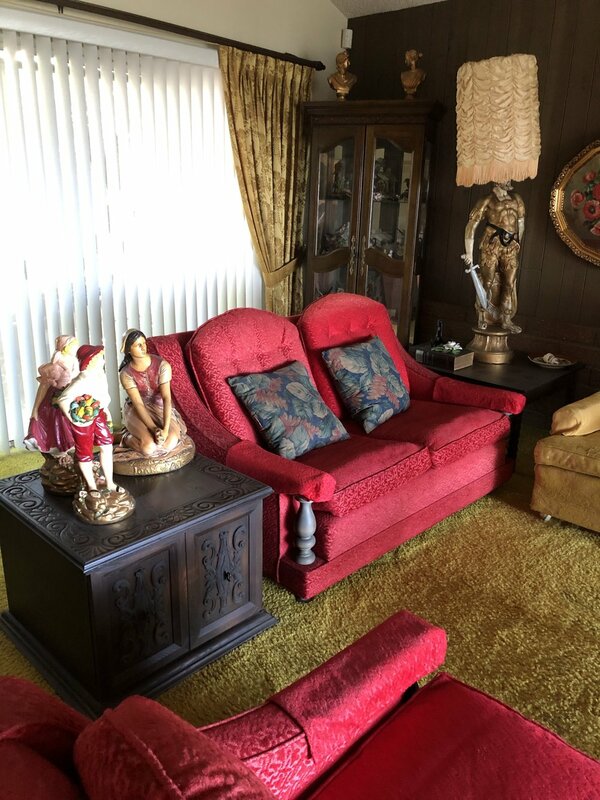 Camera gear, bags, accessories, manuals, cases, photography books, slides, slide mounting equipment and accessories, toys, costume jewelry, a FAB Spanish style mahogany dining room set, Mid century RED sofa and loveseat combo and a gorgeous white French Provincial Bedroom set straight out of 1975. Wait until you see the keen stereo that goes with it! We have TOYS! Oh boy! You will find Tonka trucks, dolls, games, Barbies, and more. View masters, men’s watches, cassettes, mid century sci fi paperbacks and mid century paintings and decor. We have GUNS! Black powder and bullet guns, Vintage magazines, BOOKS, Playboys, Photography and MAD magazines, collectable smalls, china, crafts, sewing, thread, sewing accessories, patterns and piles of 60s-80s fabric. We have a CAR! 1996 Geo, super clean with only 46,000 miles. PEASE NOTE- DUE TO THE NATURE OF SOME ADULT ITEMS, CHILDREN UNDER 18 WILL NOT BE PERMITTED IN 2 ROOMS AND THE GARAGE. THESE AREAS WILL BE CLEARLY MARKED. NO EXCEPTIONS WHAT SO EVER. Address goes live at 6 am on Friday. There will be a sign up sheet (take a picture of it when you sign on) We open promptly at 9 am both Friday and Saturday. Can’t wait to see you!